Moving the idea of the sophisticated microgrid beyond theory, Schneider Electric and Faith Technologies today unveiled a project at a Wisconsin nature preserve that is expected to demonstrate the growing ability of microgrids to multitask. The Gordon Bubolz Nature Preserve in Appleton, Wisconsin is now home to a microgrid that manages five distributed energy resources, as well as a grid connection. Its creators describe it as the most sophisticated microgrid built yet, given the number of resources it manages and its use of advanced management and control software. Unveiled June 1, but previewed at Microgrid 2018 in Chicago May 7, the grid-connected microgrid powers an 18,000 square-foot building with solar, battery energy storage, a fuel cell, a microturbine and natural gas generator. It can operate in synchrony with the grid or islanded on its own. The project is serving as both an energy and education source for the 700-acre nature preserve, located about half way between Green Bay and Madison. Schneider and Faith Technologies see the project as a way to test and demonstrate new levels of microgrid resource management and control — as they emerge — in a real-world setting. “This microgrid is built around redefining what’s possible,” said Terry Bickham, vice president of energy at Faith Technologies, speaking at Microgrid 2018. “We really did set this up to be many-in-one.” Bickham stopped short of calling the project “the Java of microgrids,” but did say the idea was to demonstrate many configurations. The microgrid manages energy production, consumption and spending, with the goal of reaching the highest level of sustainability, reliability, and efficiency possible for a microgrid, according to the companies. In doing so, the project fits within mission of the nature preserve which is to develop a sound environmental ethic through education, recreation and conservation. 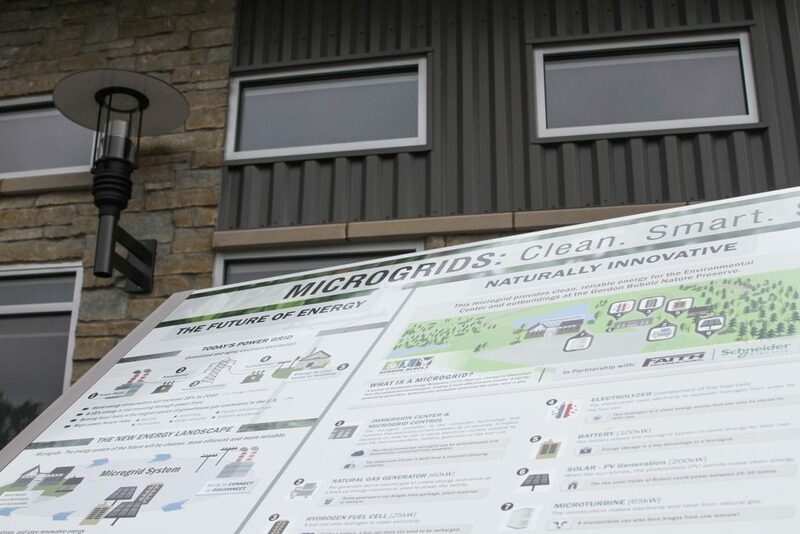 “This microgrid at Bubolz was designed to showcase the wide range of clean energy components that can make up a microgrid,” said Mike Jansen, CEO of Faith Technologies, which offers electrical planning, engineering, design, and installation. Schneider Electric’s Energy Control Center manages the DERs. Its EcoStruxure Microgrid Advisor, a cloud-connected software-as-a-service platform, optimizes the configuration. The tool can autonomously configure the energy resources into a range of different permutations to produce the most efficient, clean, and cost-effective combinations available at any given time. For example, the microgrid can optimize resources, even as their availability shifts, based on pricing that can change minute by minute. Given that the software is cloud-connected, the system can continue to evolve over the years without the need for any on-site visits or physical changes made by Schneider Electric or Faith Technologies. The two companies can monitor the microgrid and update its programming remotely. The microgrid feeds live data on its performance to a display at the Faith Technologies Innovation Center in Menasha, Wisconsin. 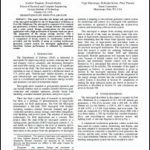 Track the emergence of sophisticated microgrid technologies. Subscribe to the free Microgrid Knowledge newsletter.